Stonehill Leavers Hoodie – a great keepsake of all those years with classmates at Stonehill. 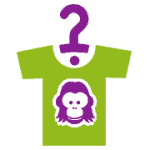 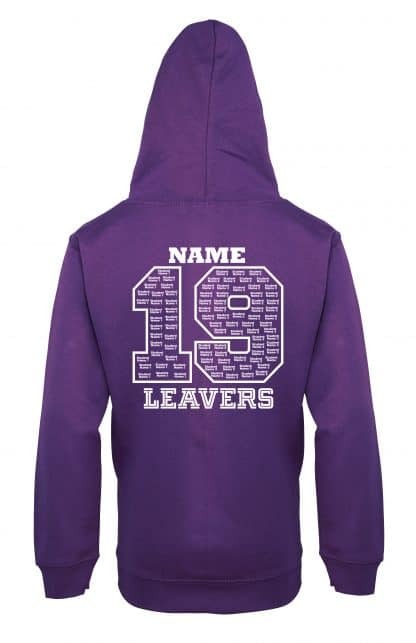 280gsm weight and available in a choice of colours. 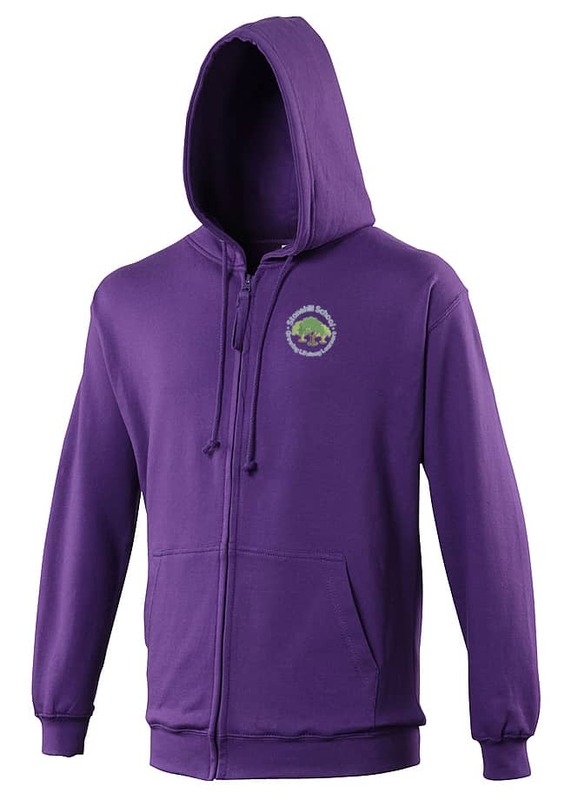 This version is the fully zipped style hoodie – a classic over the head style is also available if preferred (see classic hoodie under the Stonehill School products). 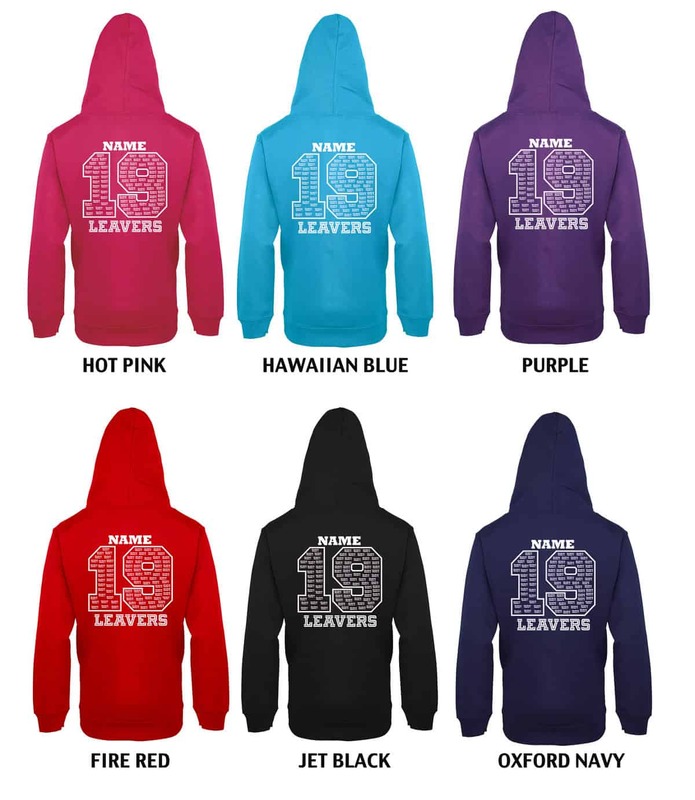 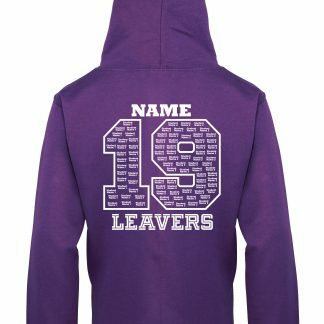 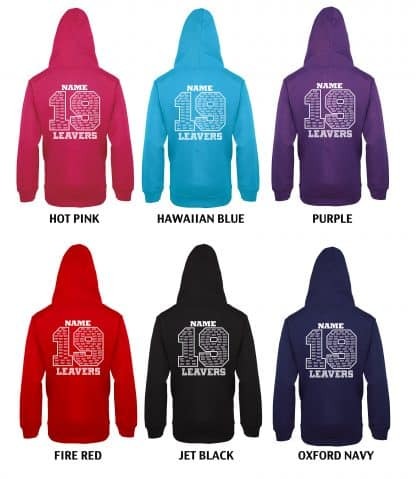 The Hoodie will be printed on the reverse in white with the years leavers and has a space at the top for a name/nickname to make it a truly personal keepsake (please enter this carefully below). The front of the hoodie will be embroidered with the Stonehill School logo.